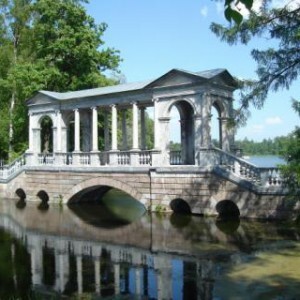 A visit to two Imperial estates surrounding St Petersburg in one tour. 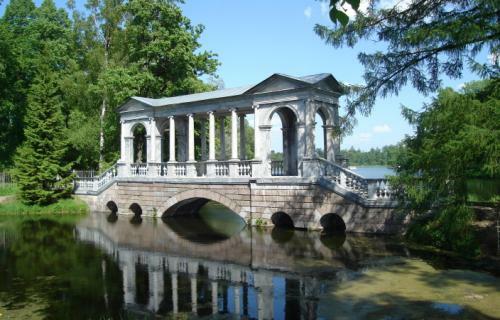 St. Petersburg is surrounded by the “brilliant” ring of Royal Estates, each boasting its own character and each associated with a prominent figure of one of the Russian Emperors or Emperesses. The marvelous palace and park complex in Pushkin is famous for the impressive baroque Catherine Palace where Catherine the Great lived and died, while Pavlovsk, as it appears from its name, was a summer residence of the Russian emperor Paul I, Catherine’s son, and his family. Both complexes represent a number of Palaces surrounded by extensive landscaped gardens with canals, ponds, fountains and drawbridges, but each reflects the preferences and tastes of its founder and inspiration of the architects that worked on them.